Plastic geogrid is made from high density polyethylene. It meets the ISO 9001 standard. 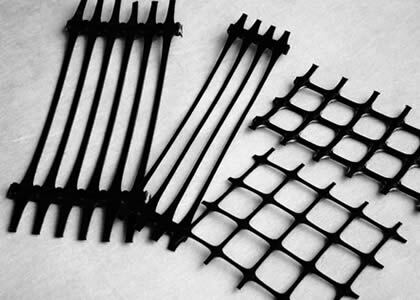 Plastic geogrid is characterized by good corrosion resistance and high junction efficiency. Divided by shapes, this product mainly has three types: biaxial plastic geogrid, uniaxial plastic geogrid and triaxial plastic geogrid. Plastic geogrids can effectively prevent soil erosion, ground subsidence and water pollution. 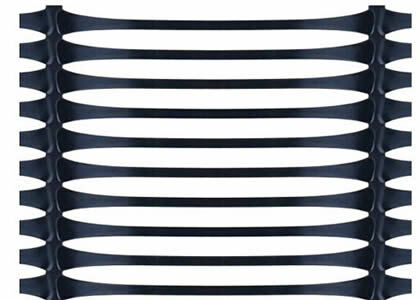 It is extensively used to reinforce soil structure and prevent ground rupture. Plastic geogrid can be applied in many places, such as stadiums, parking lots, airports, railways, highways and piers. Compared with traditional materials, plastic geogrid is more durable. It is suitable for municipal engineering and geotechnical projects. 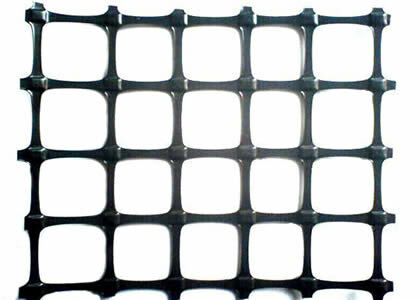 Plastic geogrid has stable and reliable performance. Its chain structure makes it transmit forces evenly to the ground, for this reason, plastic geogrid can largely increase the bearing capacity of the ground surface and greatly prolong the service life of the road. Plastic geogrid is extensively used in subgrade and road reinforcement. Features: High strength. Anti-corrosion. Erosion control. Good aperture stability. Good bearing capacity. High junction efficiency. Durable; long service life. Application: Widely applied in railway and highway construction. Widely used in the reinforcement of retaining wall, embankment, roadbed and dam, etc. Extensively used to prevent soil erosion, ground subsidence and water pollution. Packing: In roll form; commonly 3.0/4.0 m in width; 50.0 m in length. Packed with plastic or cloth bags.